We take a look at another selection of fantastic gigs taking place across our fine city over the coming week. As always there are many to choose from. The sun is out, for now at least, so what better way to celebrate then a night of music at the Alleycafe courtesy of the fine folks at I’m Not From London as they bring you a Wire & Wool Mini Festival. Outside you can catch the wonderful Nottingham five piece acoustic band IDOLINS who mix guitars, piano, percussion, cello, banjo and mandolin to create sensational sounds, following those guys will be soul folk singer-songwriter LEE GOUGH. Also performing will be NEIL GOLD & HIS GIRLS a band featuring members of the likes of Pilgrim Fathers, Amusement Parks on Fire and Seabirds, before Brighton band SOUTHERN SUNRISE bring their blend of country, blues and mellow pop. Rounding up the outdoor action will be dance quartet KUNDALINI. 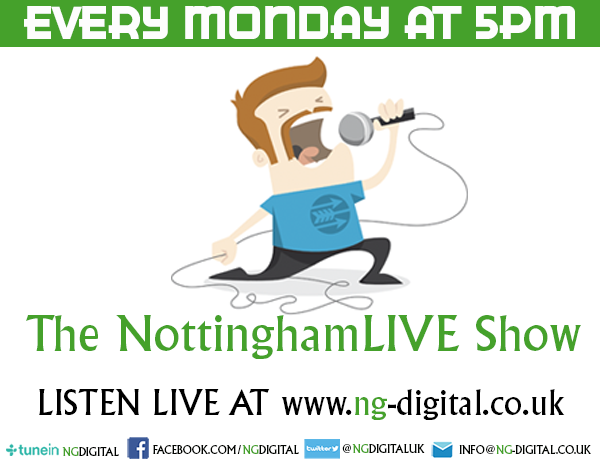 Meanwhile the action will be just as great indoors where the brilliant Future Sound of Nottingham semi-finalist and future NottinghamLIVE Radio Show guest JOSH WHEATLEY will be kicking things off, he will be followed by the extremely catchy JAMES GOOCH and Lincoln pop duo MOLLY & JACK. Folk star LEAH SINEAD will be enchanting us with her beautiful sounds at 10pm followed by acoustic jazz star MICHAEL STOTT. Fast rising hip-hop performer, and the second Future Sound of Nottingham semi-finalist playing on the night, KANE ASMORE closes the indoor stage at 11.20pm. That’s a fantastic ELEVEN acts and it is totally free – and you can’t really ask for a better venue for a chilled out Thursday night than the Alleycafe – though prepare for it to get busy. For something different this Friday head on down to Nottingham Contemporary where Nottingham percussion giants SABAR SOUNDSYSTEM will mesmerise you with their spectacular array of live drums and chimes, plus live sampling and beats from SI TEW (One Bomb), evocative melodies from Chinese virtuoso string player LING PENG and mesmerising beats from BIAT SINGH on tabla. Plus special guest performances from Ghambian Kora (African harp) player SURA SASSO and three piece soul, jazz and blues band HAIKI LOKI. Tickets are £8 in advance or £10 on the door – advance tickets available from Nottingham Contemporary, Alleycafe, The Music Exchange and Jamcafe. This Saturday The Lacehouse will host an evening of great music all in aid of Hope for Children, a charity which exists to help orphaned, poor, exploited and other marganalised children in developing countries and the UK. 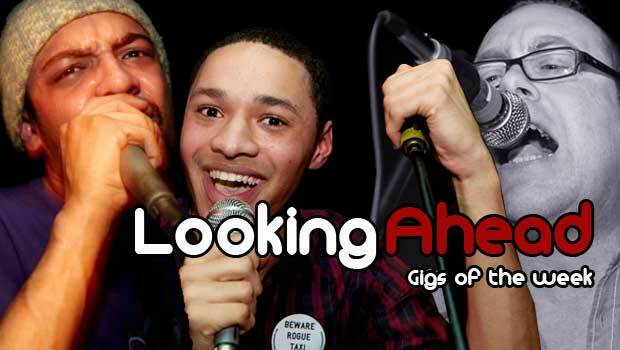 A selection of top Nottingham acts will take to the stage during the day in order to help Silas Haigh in his bid to raise £2650 for Hope for Children, with his ultimate aim to climb Mount Kilimanjaro. Performing on the day will be MATT GOLD, ANWYN WILLIAMS, MYSTERY WHITE BOY, BETH FRISBY, MICHAEL STOTT, IZZY MARIE HILL plus an acoustic set from THE MOST UGLY CHILD. Fists are celebrating the launch of their brand new album this weekend, and they are doing it in style, the band have lined up a selection of their favourite fellow acts for an all day party down at the Union Boat Club on Trent Bridge. KOGUMAZA, WARM BRAINS, CANTALOUPE, KAGOULE, COWTOWN, BILGE PUMP, THE CUSP and BUS STOP MADONNA’S will all be taking to the stage to ensure a party mood this Saturday. Add to that the event will also feature Jerk Chicken, Joey Chickenskin, beers, falafels, records, DJ’s, crafts, visuals and zines. Ticket pre-orders from Gringo Records will include a free download of an exclusive track, tickets are also availalble from The Music Exchange. The event is family friendly and all under 14’s get free entry. On Tuesday the Under the Tree gang take over the BrewDog once more for a night of great – and free music. The show will feature four top acoustic acts to ensure a chilled out Tuesday night vibe at the Lace Market venue. BETH FRISBY, MARC REEVES, ADAM PETER SMITH and JAMIE MOON will all have you enchanted with their wonderful sounds making this a must catch show. It all kicks off at 7.30pm and entry is totally free.